​In these times of trouble and disturbance, it is more important than ever that we hold ourselves in balance: that we are not knocked into rage or despair; that we retain our physical strength; that we’re not confused by all the conflicting stories that are being told. Come to Cornwall to camp and receive teachings in a traditional roundhouse. On this four-day workshop we will help you explore your own imbalances and find ways to heal them. We will spend part of each day out on the land to receive healing from the earth, and from the ocean. Through Native American Medicine Wheel teachings, we will learn about our four shields and how we can bring them closer into balance. Through journeying we will discover our shields. And through drama we will explore their interactions. Then we will have the opportunity to spend a night out on the land, in ceremony, asking for guidance and healing. Each of us in our own space, alone with the land, the stars and with Spirit. ​The workshop will be held in Penwith in the far west of Cornwall, close to an iron age village and sacred sites, with the sea never far away. Accommodation will be camping in your own tents, and there will be a converted barn for eating (it has a full cooker and a fridge) and hanging out. It has a hot shower and a toilet. We will build community by sharing food and cooking together. This workshop is suitable for the experienced and inexperienced alike. Cost £370. Some concessions available. A non-returnable deposit of £100 reserves your place. The full fee is due ten days before the start unless other arrangements have been agreed. If you would like to talk to Annie about the content of the workshop, please phone 01225 312728. 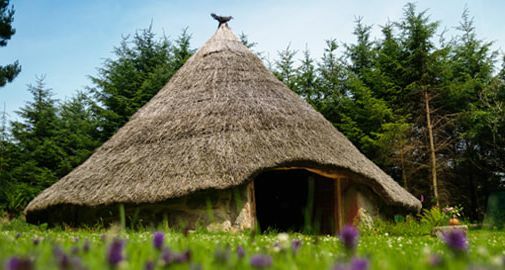 ​Join us for a four-day ceremonial training in a thatched roundhouse on the wild lands of west Cornwall. We will be exploring ways in which we might empower ceremonies of our own. Many of the teachings are from the first peoples of the Americas who never lost their way, but they will be grounded in our land here; as we learn from other lands we begin to remember our connections to Spirit and these islands we call home. ​In the old days people understood that ceremony was an important way to open ourselves to Spirit; to bring ourselves back into alignment with the great rhythms of life and death. Ceremony can be a gateway through which we make contact with other worlds. By making a ceremonial space of beauty, by working with objects that hold power, by singing calling songs and making prayers, we can invite the Holy into our world. Through ceremony we can give gratitude for all the bounty of life and pray for healing and good fortune for ourselves and others. While anyone can make ceremony at any time, we can learn much from the experience of those who have gone before. Many of the teachings are from the first peoples of the Americas who never lost their way, but they will be grounded in our land here. We will find ways to deepen our understanding of and connection with the four elements of Earth, Air, Fire and Water. We will build altars and find ways to open and close them down. We will consider how to make relationships with sacred objects, with feathers, with smudge and how to care for them. We will work with drums, rattles and chant. We will explore some Medicine Wheel teachings and find our beginning place on the Wheel. We will start to build relationship with fire and with the sacred plant, tobacco. ​Each day we will spend some time out on the land and together we will hold ceremony in different ways, in different places. This may include a fire vigil one night in the roundhouse. To all women comes the menopause at a time when we are in our prime. Many of us feel cut down. Others do our best to pretend it hasn’t happened. Imagine how it might be if we experienced the menopause as a ceremony, a testing time. If our battle with our fears and sometimes with symptoms and our victorious emergence marked us as ready to take over many important roles in our society: the teaching and initiation of the young; the continual guidance of all younger women; and the guidance and governance of our community. us through a labyrinth of symptoms, misconceptions and fears to reclaim the spiritual initiation it holds for us? cast out our fears and claim our power; and we will create ceremony for ourselves to mark this passage. For women who are menopausal, post or pre-menopausal. This is a stage not always governed by age and we welcome younger women who experienced an earlier menopause. We seek to create a space where women of all ages and stages can come together and celebrate ourselves as women and honour those amongst us who have been or are transitioning through the sacred stage of menopause. Fee: £165 - Some concessions available. A one-off opportunity to work with these two experienced facilitators and ceremonialists from Europe. At this time of crisis we long to bring ourselves and our culture. back into balance with the earth. A dream for a new way is needed. Dreamers are called to awaken and venture out into the unknown to bring back a dream of life full of love for the land and all who live there; to call for the strength to hold the gateways open so that this dream may flood into the hearts of our fellow humans. On this weekend we will explore these themes with teaching and with experiential work. Weather permitting, we will make fire both days and spend some time out of doors, sitting with the Grandfather and calling for vision. 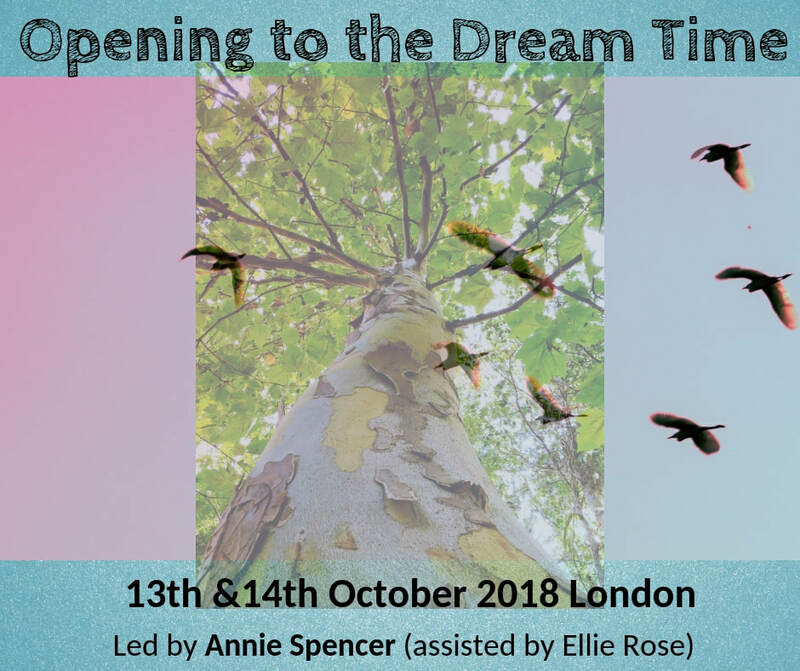 We will be introduced to the Tuvan way of working with song to reach out to spirit; we will work with an altar and journey to move into different dimensions; we will explore ways to develop our dreaming both by day and also when sleeping. There will be time for story and for the drum; and on the Sunday we will make ceremony together. Our aim is to enable each person to call for their dream of life, to call for the earth’s dream for themselves. At the end of the session we will pull together all that we have discovered and help one another commit to a small step forward into their life in a new way. PLEASE BRING: a drum and/or rattle if you have one; a notebook and pen. 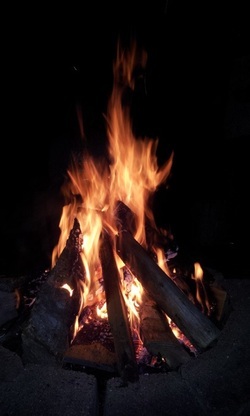 If you can, please bring offerings for the fire (chocolate, copal or vodka) and for the earth (tobacco, cornmeal, strips of cloth or some happy water gathered from a stream or a spring). We suggest you wear comfortable clothing and bring outdoor gear suitable for the weather. TIMES: 10 – 5 Saturday; 10 – 4 Sunday. There will be breaks during each session. Please bring food to share so that we can have a potluck lunch both days. We will provide hot drinks. COST: 170 $ To reserve your place, 50 $ by May 12. Total due May 17. Cheque payable to Kate Merriweather or deposit to sola.voima@telemail.fi PAYPAL account. MORE INFORMATION: 206-713-5283 or kate.alchemist@gmail.com. CHRISTIANA HARLE, Reg. Music Therapist (Finland), Inspiraktiva Breathwork Therapist, Beekeeper and Shamanic Drum-birther is a shamanic healer using voice and rune-song (not Runes)-the shamanic algyshtar for over 25 yrs. She has a gift for walking between the living and the dead and doing the work that needs to be done. Finland is home with two years in Tuva, Russia working alongside the shamans and is an accepted card-carrying Tuvan shaman. She works primarily in Finland and Estonia. Christiana is passionate for assisting others to connect with Spirit and their own voice so they can find their own path with Spirit in community. Imagine that our reality is cocooned within the folds of another reality like the clouds that soften the horizons around our physical earth. Imagine, for a minute, that this other reality can fill us with inspiration and strength, can offer us rest and revival from all the stresses of this everyday world. It is to this reality that we send our longing in these days together. We will explore ways to open to it through altars, through calling a spirit guide in the form of a being from the animal kingdom, through deepening our relationship to the plant beings. Altars are gateways, they are manifestations of other realities, they can hold our dreams and call in our destiny. In these days we will explore how to create them, bring them alive, feed them, close them down. Animal guides take us into other realities, they protect us from harm and can lead us safely home again. We will call one to us, dance him or her into our bodies and discover ways to build a strong and loving relationship. Even within the great, disturbed metropolis of London, there are trees, everywhere there are trees. These quiet majestic beings remind us of our roots in the other realities of this earth even while surrounded by the loud harsh confusion of city life. Through opening to their quiet strength, we will learn ways to keep ourselves open to all the nourishment that this dreamtime can give us and begin the exchange of gratitude and grief that allows the energies to flow. ELLIE ROSE, Has completed a 5-year apprenticeship with Annie and studied with Martin Prechtel in New Mexico. With humility Ellie seeks to create ceremonies of beauty that resonate in the heart. In times of broken lineage, we are all shoots on old roots. Where our indigenous connections have been cut we seek a way to bring our self into good relationship with the Earth. Ellie’s passion is for creating healing ceremonies for the Earth and people and she is interested in crafts, storytelling and plant healing. If required, you can receive a certificate of attendance for CPD. Join us for a four-day ceremonial training in a thatched roundhouse on the wild lands of west Cornwall. We will be exploring ways in which we might empower ceremonies of our own. Many of the teachings are from the first peoples of the Americas who never lost their way, but they will be grounded in our land here; as we learn from other lands we begin to remember our connections to Spirit and these islands we call home. In the old days people understood that ceremony was an important way to open ourselves to Spirit; to bring ourselves back into alignment with the great rhythms of life and death. Ceremony can be a gateway through which we make contact with other worlds. By making a ceremonial space of beauty, by working with objects that hold power, by singing calling songs and making prayers, we can invite the Holy into our world. Each day we will spend some time out on the land and together we will hold ceremony in different ways, in different places. This may include a fire vigil one night in the roundhouse.